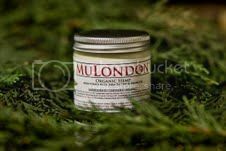 Vegan brand MuLondon are giving away 100% vegan moisturisers to two lucky Veganfitness members. To enter the competition, simply make a post in this thread and write which of the five varieties you’d like to win and why (voluntary to state why, but MuLondon would appreciate some feedback). 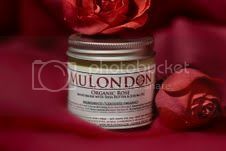 MuLondon also offer a special Veganfitness discount, have a look at the thread for more details. Patrik is Vegan Athlete of the Year 2012! Strongman Patrik rounds off a year of world records and strongman titles by being voted Vegan Athlete of the Year. Read more about Patrik is Vegan Athlete of the Year 2012! Paralympian, Sarah Stewart, recently spoke to GVA about her experiences as an elite vegan athlete. Check out part 1. Vegan Strength Germany now have their own official Youtube channel. See xolix deadlift 300 kg sumo and conventional, Marco squat 310 kg in single ply or the gang going at it with exhibition lifts at vegan fairs. Also featuring vegan beast Jakob at his very best. By the end of December we will have discovered who is the Vegan Athlete of the Year 2012. This is your chance to cast your vote and select the athlete who has achieved most from the five athletes most nominated by visitors to Great Vegan Athletes. Fiona Oakes, a marathon and ultra distance runner. Patrik Baboumian, a world class strongman and powerlifter. Meagan Duhamel, Canadian champion figure skater. For the first time www.greatveganathletes.com is running a "Vegan Sports Person of the Year" award . We are asking for nominations from now until the end of November. Five nominated athletes will then be eligible for votes during December. Please feel free to put your nominations in by using the form here. Canadian skater Meagan Duhamel and her partner Eric have won silver in the international 'Skate Canada' competition on October 27th. The Canadian champions are going from strength to strength based partly on a determined work ethic. "Right from the second the music started we were relaxed, we were calm" explained Meagan. "As we stroked into our first elements, I was like, ‘We’re really going to do it.’"
We are proud and very excited to announce a Spanish language version of the VeganFitness.net forums Vegan Fitness Español. Our forum has many Spanish speaking members, with this new forum it is hoped that we can encourage and support even more vegans. A big thank you to everyone involved in the launch of the new forum. Please help us develop the new forum by registering and sharing this news over social media. For the first time Vegan Fitness will have a stall at the West Midlands Vegan Festival. We are very excited and planning some fun challenges with prizes. The plan is to have a rowing machine at our stall and encouraging people to have a go for a chance to win some protein powder. Will be a good time to get your name onto the Vegan Rowing Table or try better your old time. We will also have cookbooks for sale along with the usual goodies and trash talking you would expect from a Vegan Fitness stall. If everything comes together we might even have a few of our new t-shirts for sale. Patrik Baboumian continues his successful year. The new European Powerlifting champion has added two World Records to his acheivements as he settles into competition in the higher weight category.